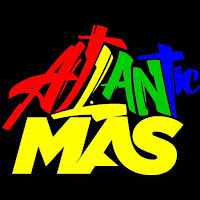 One of the bands featured on the Cariwest website is called Sykotik Mas. This band is actually based in Calgary but they will be making the trip to Edmonton for Cariwest. They have their own website which features their 2009 presentation "FORBIDDEN TINGZ" comprised of 3 sections: SPICY GOLD, EARTHLY PLEASURE and BLUE PASSION.